If there’s one thing that really completes your living room and brings all the design elements together, it’s a stylish coffee table. Since it’s the first object that you see when you enter the room, it should be attractive and yet keep with the theme of the room. 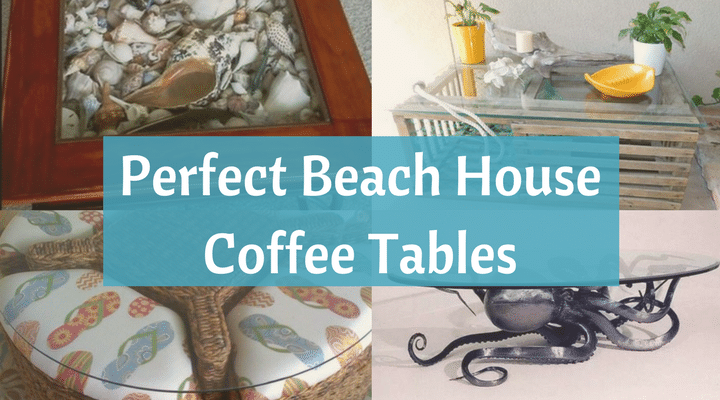 For your perfect beach house, you need the perfect coffee table, and we’re going to help you find it! 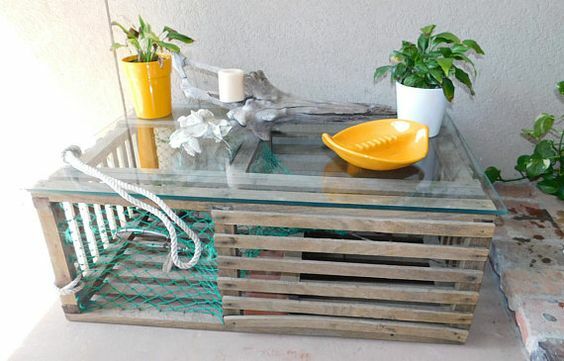 This glass topped table is made from an actual lobster trap! It evokes the sea with its netting, rope, and bleached wood planks. Add some plants and driftwood on top to complete the look. 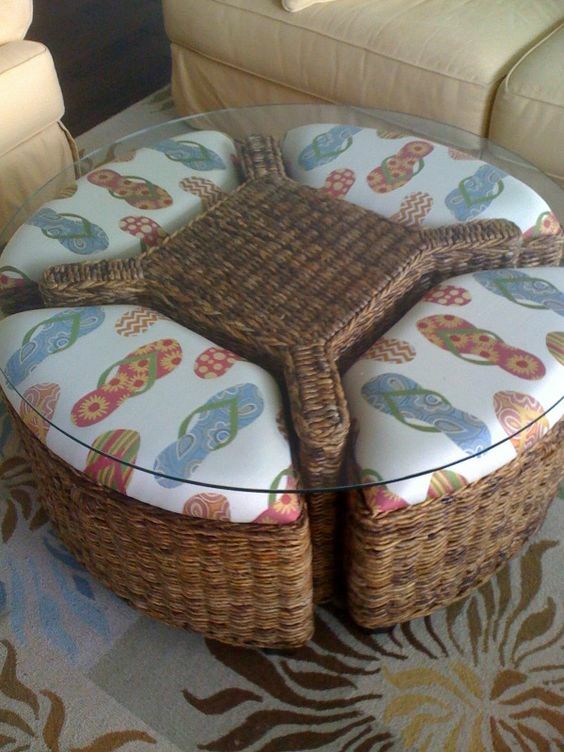 This cute and colorful wicker and glass table serves double duty! You can pull out the beach sandal patterned cushioned seats to accommodate extra guests, then push them back in afterwards. This elegant table combines iron, wood and the sea. Wrought iron legs provide a strong base, then mahogany encloses a glass display filled with conches and seashells of every size. 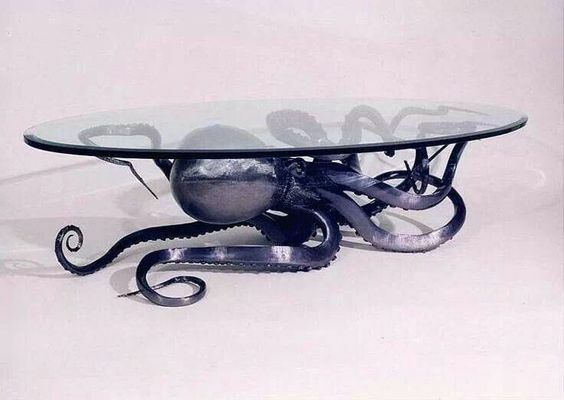 If you want a modern yet playful look, go for this oval glass coffee table with a polished steel octopus holding it up on its tentacles. Evoking both a ship’s rigging and the deck of a schooner, the rope along the sides adds a roughness that complements the elegant symmetry of the steel and wooden table. Complete the look with a bit of rope around a bowl on top. A wooden sea-chest that shows its age will definitely be the center of attention. Iron or brass handles and hinges will lend it a touch of authenticity. Add some books, model ships, or a globe on top. For an all-white theme, this simple trestle table is perfect for showing off your decorating skills. Add some color with potted plants, candles, and beach themed items. This beautiful wooden table resembles a sea-chest, but has hinged glass cabinets on top. 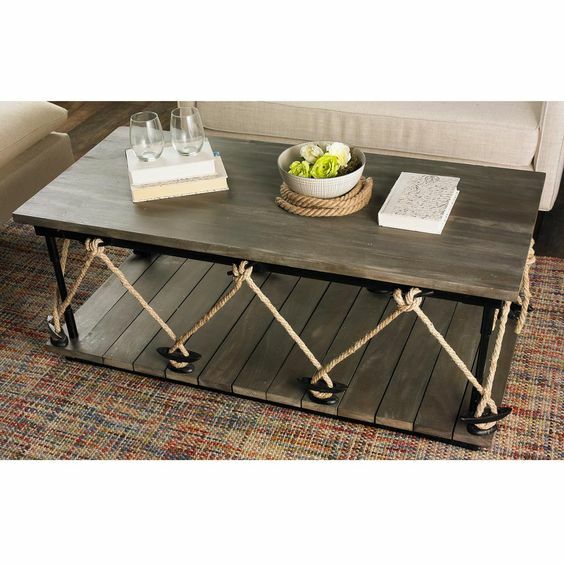 Ideal for storing book and spare items, this coffee table will go well with muted colors and a nautical theme. 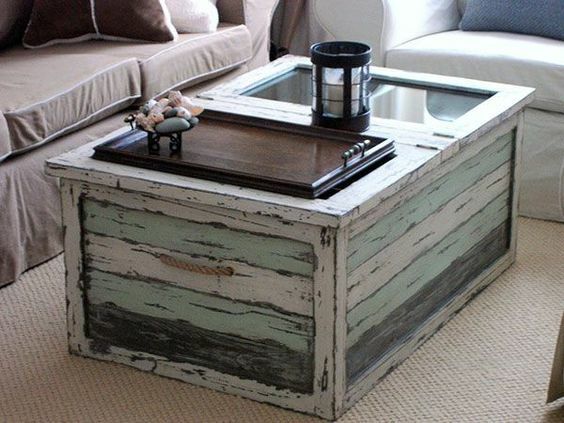 Combining modern industrial design with bright ocean colors, this table brings any room to life! In keeping with the sea theme, decorate the room with shades of blue and add starfish, sea shells and glassware to the table for decoration. 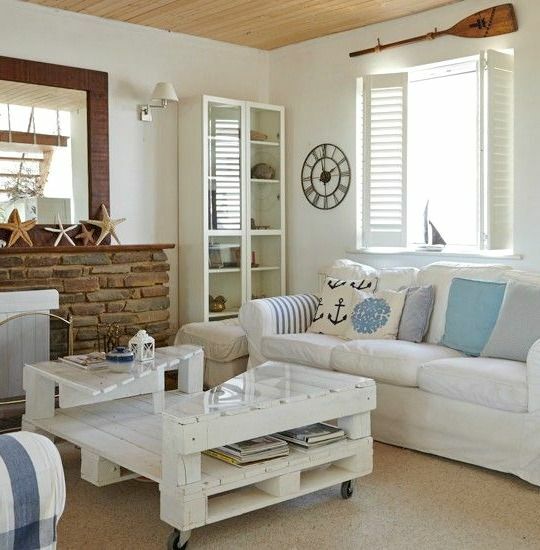 Combine chic and natural beauty with this lovely oval glass-topped driftwood table. The dramatic curves and contortions of the branch contrast well with the regular symmetry of the glass top. Make a statement by adding minimalist decor to this table. 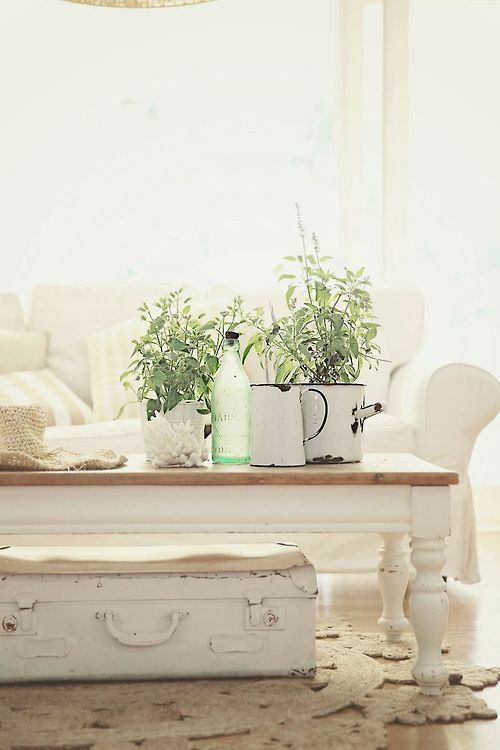 This deconstructed wooden pallet table on wheels is ideal for the modern all-white look. It combines the use of everyday materials with the simplicity of white painted surfaces. 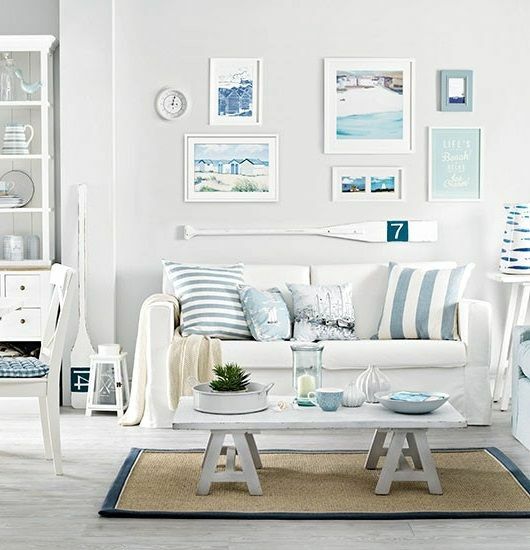 Add some books and tiny ocean-themed decorations to complete the look. 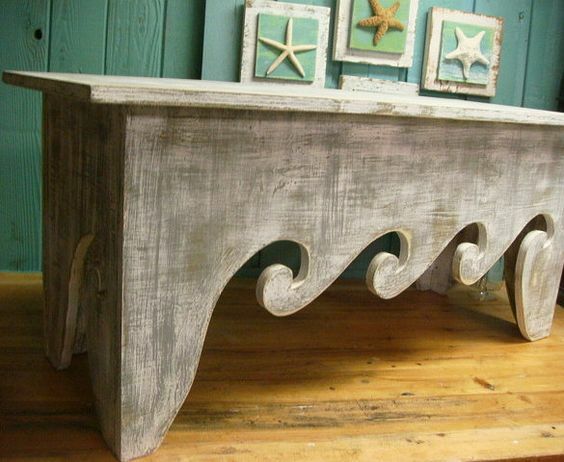 The simple wave shaped carving on this simple wooden table gives a subtle ocean effect. 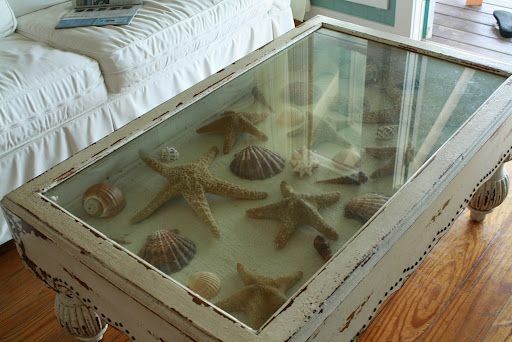 Pair this table with framed starfish decorations or sea-themed prints. 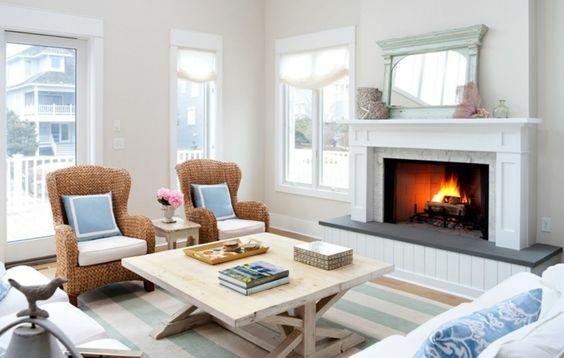 The pine-colored finish and square picnic table-like design makes for a comforting and homely feeling. Add some coffee table books on top and maybe add a touch of color with some flowers. Find an old leather suitcase and paint it white. Display it under a low, old fashioned wooden table for an authentic effect. 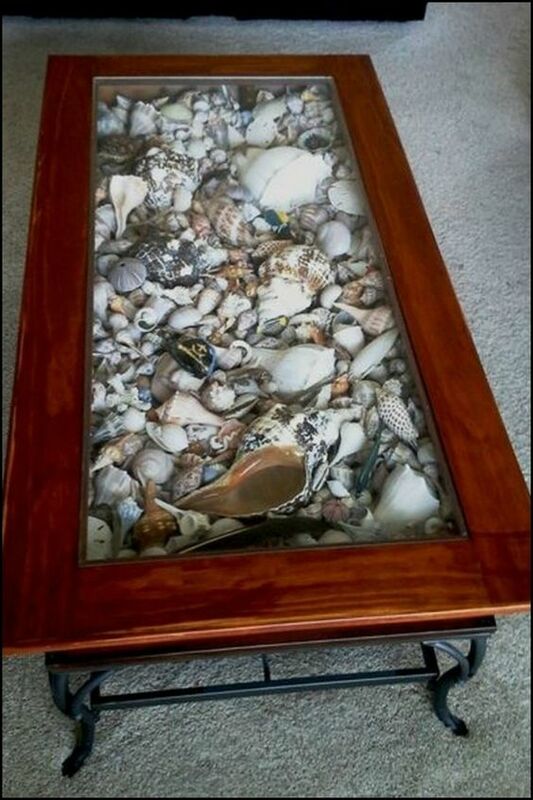 Doubling as a display case for your sea shells and coral collection, this glass topped table is ideal for rooms with plenty of space. The worn finish and patterning along the sides lends it an exotic feel. We hope our suggestions got your creative juices flowing! 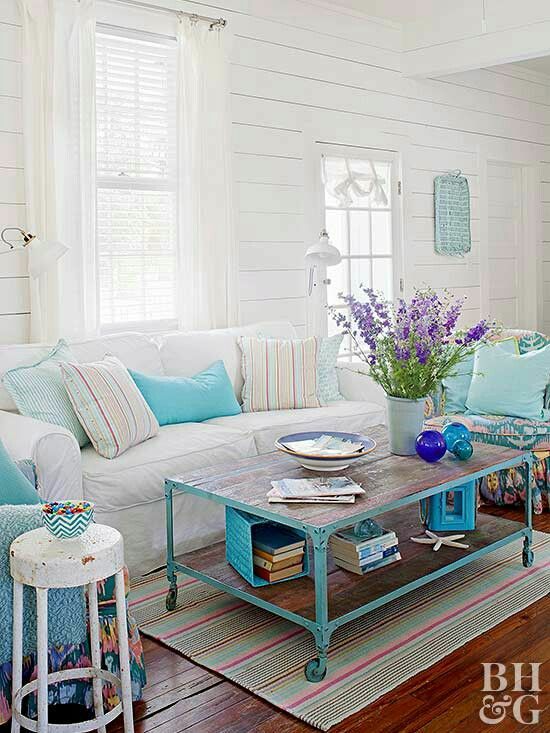 Remember, you can never go wrong with coffee tables that add some mystique to the room, or evoke the ocean theme that you want for your beach house. 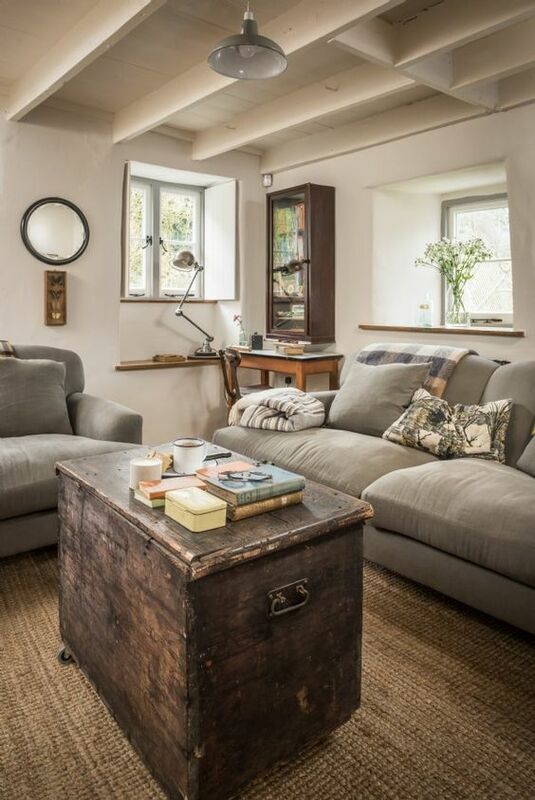 Happy decorating, and do let us know what ideas you liked!